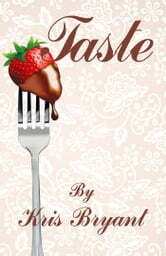 Determined to fulfill her dream of becoming a chef and winning a coveted scholarship to study cooking in Italy, Ki Blake rushes in late to the first class of her final semester at Kirkwood Culinary Academy and is stopped in her tracks by Taryn Ellis, the school’s newest instructor. A beautiful and accomplished chef, Taryn has walked away from her promising career in the city’s top restaurant to devote her life to her five-year-old daughter. Ki and Taryn try their best to resist the urge to give in to the undeniable chemistry between them. And when at last they begin a passionate affair that must be kept a secret, they are each convinced it’s only a short-term fling. It’s up to both Ki and Taryn to decide whether they have found something genuine or whether the taste of romance they’ve had is truly enough.